We work closely with many organisations such as language associations, other providers of teacher training and professional development, universities, overseas governments and business associations, delivering quality, support and opportunities for teachers. A subject association organising events for students and providing professional network opportunities and professional development opportunities for teachers of Chinese at primary and secondary level, to promote effective Chinese learning and teaching in schools. STANZA is a subject association which provides support for teachers and students of Spanish in New Zealand. To join visit www.stanza.org.nz. Important information about Japanese culture and education can be found on the Embassy’s website. The website includes information about scholarships, education programmes and resources for students and teachers. Visit www.nz.emb-japan. The Confucius Institute in New Zealand promotes Chinese language and culture study in New Zealand through educational programmes, exams, events and scholarships. A leading non-government organisation on Asia-New Zealand relations, the Asia New Zealand Foundation’ s education programme provides information, resources and professional development opportunities to help school leaders develop students with the skills and knowledge they will need to embrace future prospects in Asia.Visit www.asianz.org.nz. 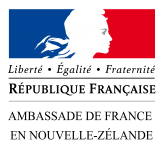 The Alliance Française is a worldwide network of nonprofit associations dedicated to the promotion of the French language and the cultures of France and of the many French-speaking countries abroad. Visit www.alliancefr.org.nz. 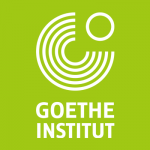 Goethe societies offer a variety of cultural experiences, ranging from information talks in either English or German to screenings of German-language films. For Auckland Goethe Society visit www.AucklandGoetheSociety.org or Wellington Goethe Society visit www.welly-goethe.org.nz. Sasakawa Fellowship Fund initiates and supports existing projects which enhance Japanese language learning and Japanese studies in New Zealand schools and tertiary institutions. Find out more about the fund here.